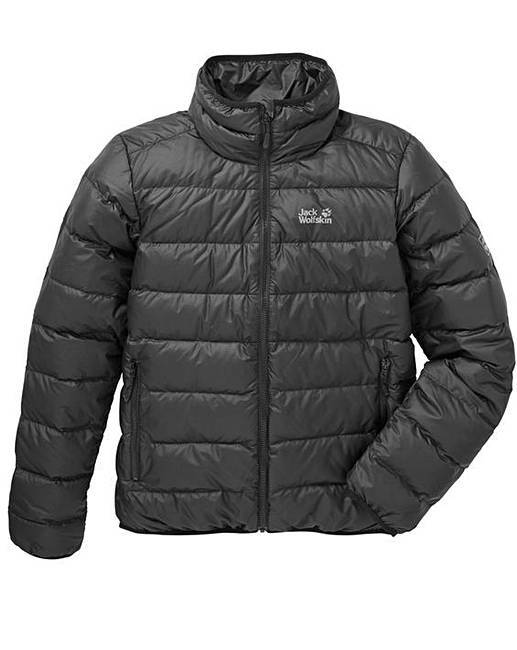 Jack Wolfskin Helium High Jacket is rated 5.0 out of 5 by 1. 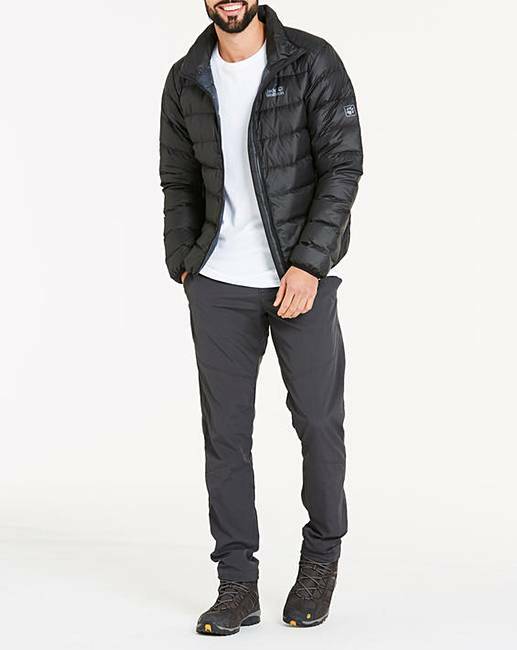 Stay warm this winter in the HELIUM HIGH, a classic down jacket and the lightest model in the HELIUM series. 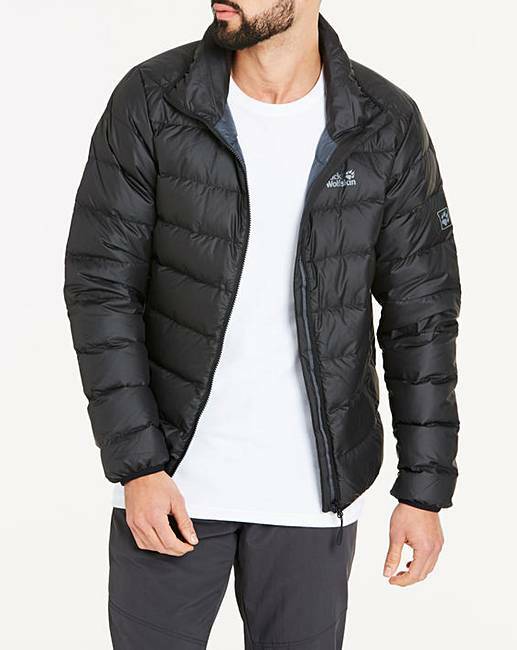 The jacket has a high collar to keep your neck warm and the simple, unfussy design makes it a great choice for town or trail. 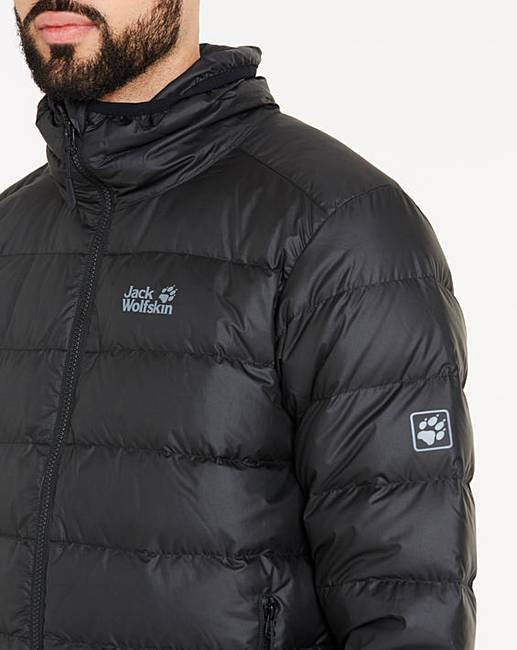 The STORMLOCK outer fabric shuts out the cold wind, thereby increasing the insulation performance. The jacket's stowaway pocket is a very practical feature. 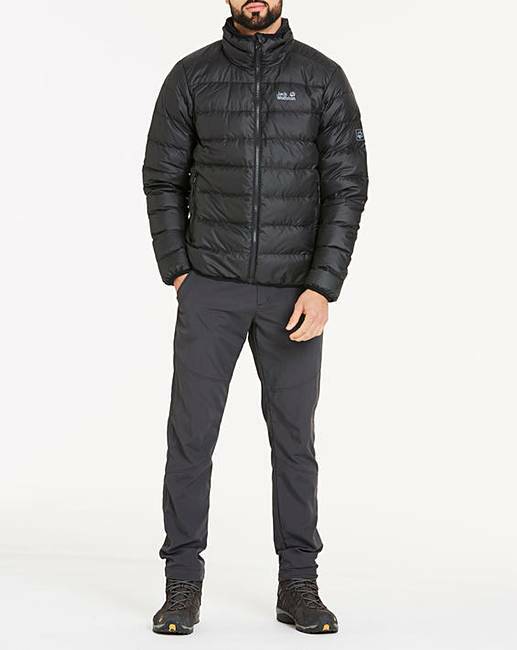 The whole jacket stuffs neatly inside its own pocket, so it takes up very little space in your pack. Polyester. Lining: Polyamide. Filling: 90% Duck Down, 10% Feather.